Now is your chance to be part of the fastest growing Sports Nutrition Brand in the industry. IFBB Pro Anth Bailes is offering each and every one of you a chance to work with us by becoming a #MaxxMuscle troop. 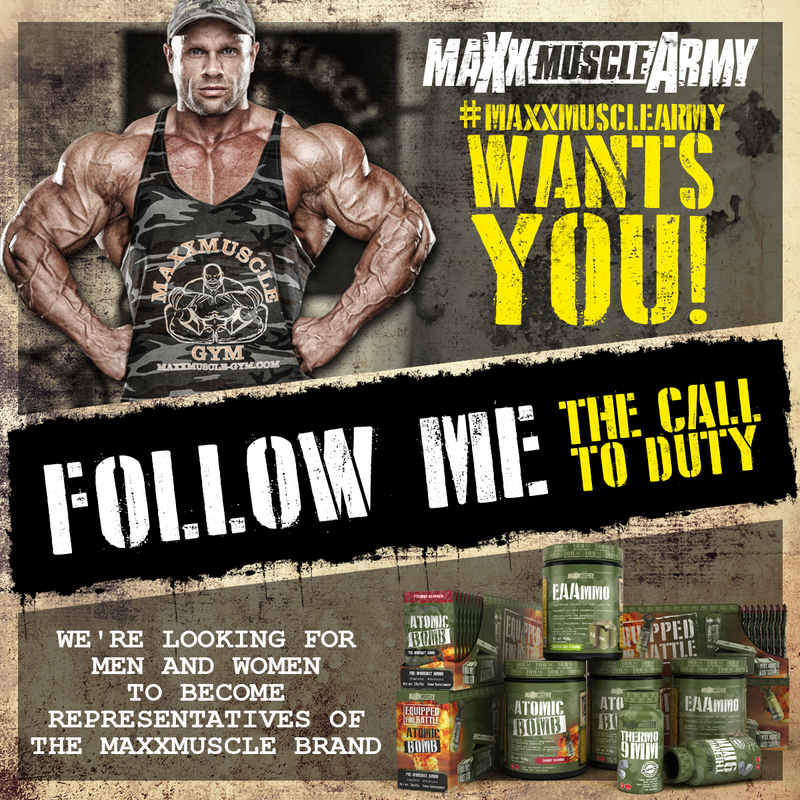 We're looking for truly dedicated, self motivated and committed troops to join the ranks of the #MaxxMuscleArmy. 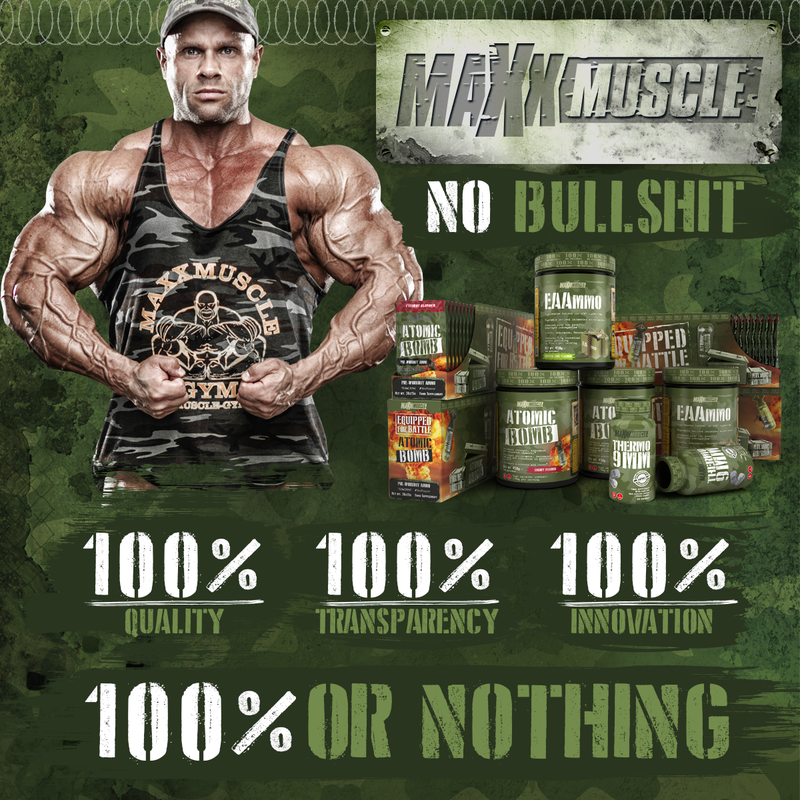 You are a passionate user of MaxxMuscle supplements, believe in the brand ethics and support innovation and quality compliance every step of the way in delivering superior sports nutrition products. You’re comfortable speaking out to the masses about the MaxxMuscle brand, and willing to collaborate with us on forms of visual/audio and written media that are mutually beneficial to both parties. You not only talk the talk, but you also walk the walk. At your core, you must live and breathe the lifestyle with the same dedication that we approach creating superior sports nutrition supplements. We will work with you across social media and offline to promote your own following as well as ours. You’ll have the unique opportunity to travel with us to expeditions, and potentially receive a monthly allowance of supplements, with access to pre-release beta formulas and unique coupon codes you can offer to your followers. If you’re a suitable candidate, we may also offer commissions on sales and paid sponsorship.